The reason why Kate Middleton is looking better than ever | HELLO! 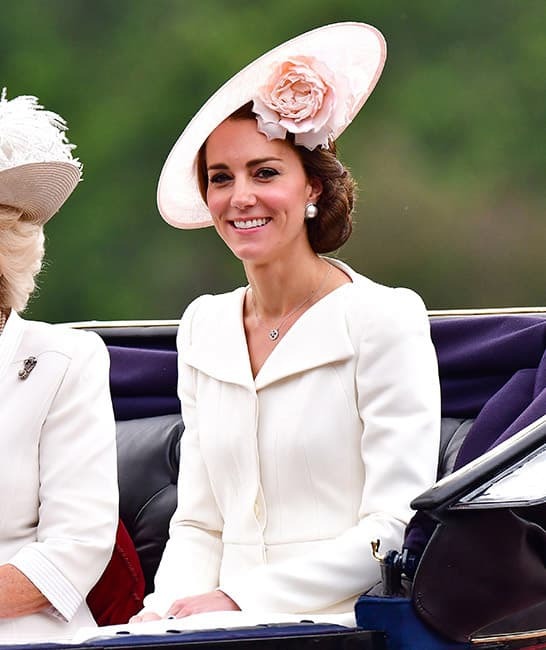 The Duchess of Cambridge, née Kate Middleton, has long been lauded for her impeccable style but she's looking even better than ever lately thanks to a series of unexpected sartorial choices. After five years as a member of the royal family, it appears that Kate has relaxed into her role as a royal style icon and started to be more adventurous with her outfits. That became evident when she made a stunning appearance at the National History Museum on Wednesday evening, wearing what some have described as her most fashion-forward look to date. Stepping out in a gorgeous cream Barbara Casasola off-the-shoulder dress and £140 pink heels, it was a daring new look for the Duchess that well and truly paid off. Kate has also been showcasing her fashion credentials by wearing pieces from some of the world's biggest and best fashion designers, including an £850 Missoni coat and the gorgeous £2,415 Dolce & Gabbana dress she wore to make her Royal Ascot debut in June. It's not just Kate's outfits that have been given a fun and fashion forward update, but her accessories too. The Duchess wowed in a striking Philip Treacy hat at the Trooping the Colour celebrations, along with a pair of statement oversized pearl earrings from iconic fashion house Balenciaga. Kate has now worn the faux pearl magnetic earrings on a couple of occasions, and was seen in the £415 earrings at the Somme Centenary Celebrations at the end of June. Along with Kate's directional style overhaul comes an update to her beauty looks. While she still loves to wear her tresses in her signature glossy blow dry, the mum-of-two has showcased a number of intricate and elegant new updos – most notably during the Queen's 90th birthday celebrations, where she gave royal fans serious inspiration with a week of incredible hairstyles. We can't wait to see what she wears next!